An interview with CVCA’s Jeff Newton by Randy Smith for his website “The Wine Write.” Photos by Andrew Schoneberger. An interview with CVCA’s Ruben Solorzano by Sonja Magdevski for Edible Santa Barbara’s Fall 2017 Issue. Photos by Fran Collin. An article written by Sonja Magdevski for Edible Santa Barbara’s Fall 2017 issue featuring an excerpt about Ruben Solorzano and Jeff Newton of CVCA. Photos by Fran Collin. An article written by Matt Kettmann for Wine Enthusiast Magazine’s October 2017 issue, featuring CVCA’s Ruben Solorzano among other renowned vintners. Photos by Toni Weber. An article by Matt Kettmann in August 11, 2017’s San Francisco Chronicle, featuring an excerpt about CVCA farmed Jurassic Park Vineyard and Ben Merz. Photos by Mason Trinca. An article from the Summer 2017 edition of Edible Santa Barbara by Sonja Magdevski, featuring CVCA’s Ben Merz. Photography by Fran Collin. The Grape Whisperer: Ruben Solorzano’s Journey From Migrant Farm Worker to Wine Aficionado. An article written by Deepi Ahluwalia for KCET’s Food & Living in September 2016, featuring Coastal Vineyard Care Associate’s Ruben Solorzano. An article from the January 2009 issue of Wines & Vines, written by Laurie Daniel, features an interview with CVCA’s Jeff Newton. © 2019 Coastal Vineyard Care Associates All Rights Reserved. They say “The farmer’s footprint is the best fertilizer.” Few winegrowers exemplify this quote as well as Ben Merz. Ben immigrated from the Black Forrest, Germany in grade school and spent much of his formative years working on his family’s Arabian Horse Ranch in Santa Ynez Valley. 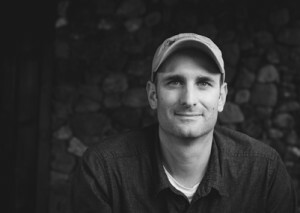 Ben earned a degree in Viticulture and Agribusiness, from Cal Poly, San Luis Obispo and joined CVCA immediately following his academics. 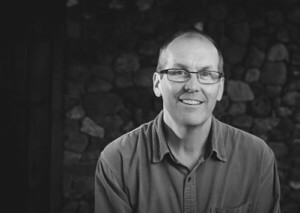 Ben’s reputation as a respected viticulturist with sound judgment and a broad level of experience has promoted strong and lasting relationships with vineyard clients, winemakers and industry professionals with whom he works intimately. Ben joined CVCA in 2001. Ruben was born to a large family in Mexico. After immigrating to the United States in 1989, Ruben began working with wine grapes. 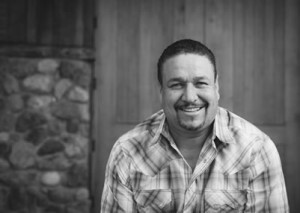 Over the years, Ruben has established himself as a leading winegrower in California, managing many celebrated estates. He maintains strong ties to the Hispanic community, where he is highly respected among crew foremen and ranch supervisors. His close ties to domestic and international consultants result in an understanding of viticulture that is profound, inquisitive and always relevant. He travels abroad frequently, and cites trips to the Cote Rotie as particularly formative in his understanding of Viticulture. Ruben joined CVCA in 1989. A former Naturalist and Biologist, Larry’s work life has never taken him far from nature. On the heels of receiving his degree in Biology from Cal Poly, Pomona, Larry owned a commercial fishing operation before continuing his studies, this time in Viticulture at U.C. Davis. In 1990, he planted the iconic Roll Ranch in Ojai, California, made famous by Adam Tolmach of The Ojai Vineyard. In addition to his vineyard management duties, Larry is adept at designing custom farming equipment, including such implements as the night harvest light trailers, which were pioneered by CVCA in Santa Barbara County. Larry joined Jeff at CVCA in 1995. Because Jeff’s father was a geologist, he recalls family vacations that were decidedly thematic, “We seemed to go on a lot of road trips, which would afford my father the opportunity to pull over frequently to explain the geologic history of a rock formation.” After earning two degrees in Economics from the University of California, Santa Barbara, Jeff studied Viticulture at U.C. Davis, where those early years of geologic exploration alongside his father ignited in Jeff a curiosity for terroir. 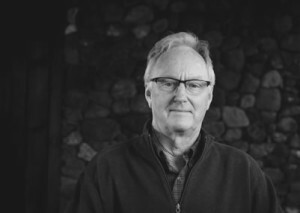 Jeff founded Coastal Vineyard Care in 1983 and for over 30 years helped shape the viticulture history of Santa Barbara Co. In 2012, Jeff was named in the “Top 100 Most Influential People in the U.S. Wine Industry” by IntoWine. We farm vineyards both large and small that produce wines at all price points. Each of our client-vineyards is staffed with highly experienced vineyard managers, seasoned crew foreman, and competent field workers. Education and training are cornerstones of our management principles. We have over 30 years of experience with all aspects of vineyard design and installation, in all 5 sub-appellations within Santa Barbara County (three of which we assisted in founding). We evaluate sites for their viticultural potential for client owned properties and for properties being considered for purchase.